Happy October Everyone! October is my favorite month! It has all my favorite colors and tones I love to wear! 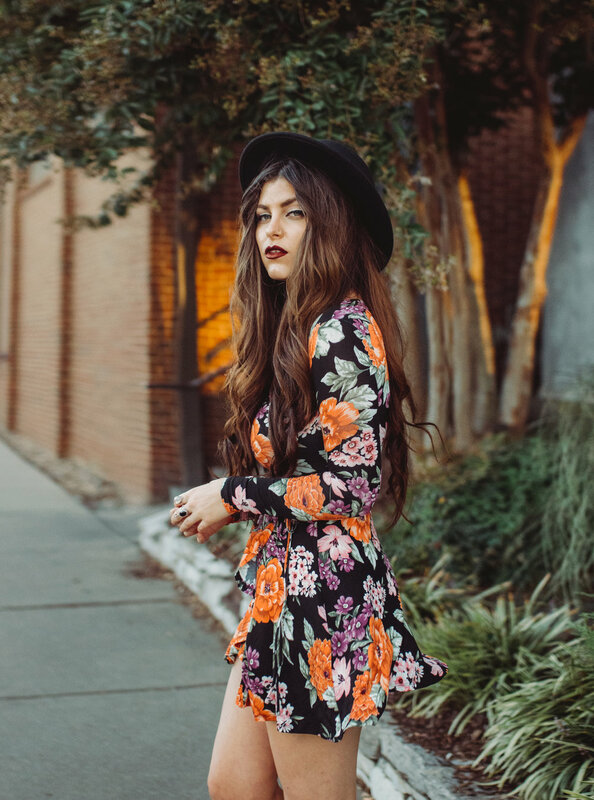 One of my favorite things to wear for fall is a bold floral print toped with a boater fedora hat! You can simple change this look for the cooler nights by adding a jacket and some tights. Make sure you add some rings and drop earrings to complete your look!